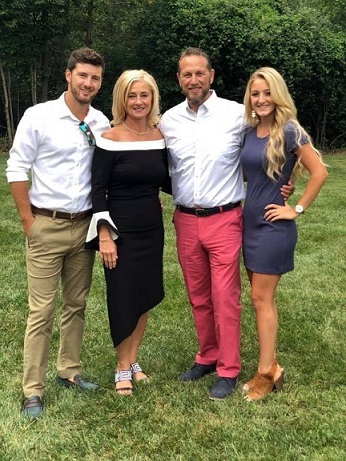 Donna Russell-Kuhr, President, CEO and Co-owner of PTM Corporation in Fair Haven, has inherited a strong legacy of philanthropy and generosity that she attributes to her mother and father’s lives. Now, a wife, mother, business owner and philanthropist herself, she’s hoping to emulate her parents’ legacy. Russell-Kuhr’s company has developed a non-profit that employees give to in order to help employees and community members when there is a need- much like the Community Foundation of St. Clair County, she feels. “The different roots they have in the community and the different avenues they have for all different reasons to help people- itʼs helping our community and that’s why I’ve become involved.” PTM Corporation, at the direction of Russell-Kuhr and her sisters, is also focused on giving to A Beautiful Me and the Blue Water Area Robotics Team, both financially and in time and resources. Aside from her philanthropic giving through PTM, Russell-Kuhr has become a staple of the community through her involvement on the Board of Directors with the EDA of St. Clair County, United Way and recently the Community Foundation. The last in our Local Women and Powerful Philanthropy series, featuring five Thumbcoast region women who create powerful impact through philanthropy.